Wonderfully Whimsical & Creatively Colorful Design. 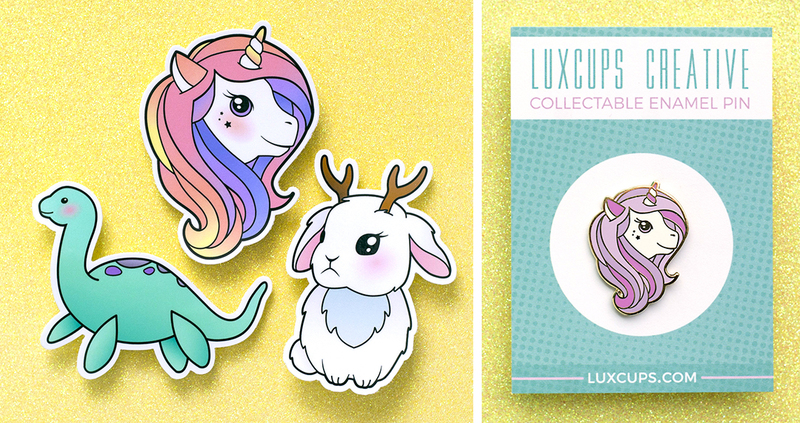 Cute Accessories & Art for Your Quirky Inner Child. 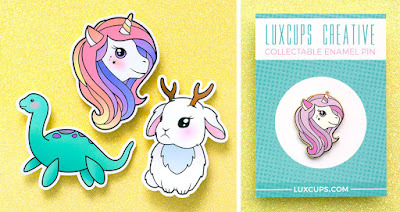 If ever there was an artist who poured her own personality and style into her art, Libby of LuxCups Creative is the epitome with her whimsical unicorn hair and cutely clever designs. Libby is a multitalented maker with a rich imagination that can’t be bound by media. She is a photographer, painter, illustrator, designer, crafter and so much more. What ties together all of her work is her characteristic colorful and whimsical touch, sometimes with a retro vibe. 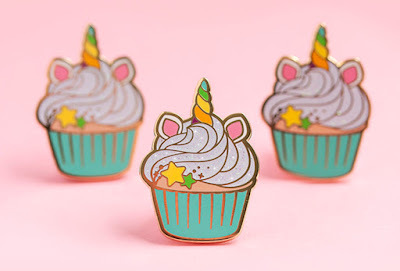 It should come as no surprise that Libby got her start in cupcake decorating, but has since evolved into other creations that are still sugary sweet! In recent years, she's focused a lot of attention on collectable enamel pins with designs that are so cute you've got to have them all. From unicorns and cat mermaids to pizza cakes and sweet tooths, what's not to love? These pieces will speak to your inner child with the bright color palette, something echoed in Libby's clothing and hair color choices too. It's amazing how she blends so well with her art, but stands out at the same time because her style is so eye catching (and I'm not just biased because she too loves turquoise). 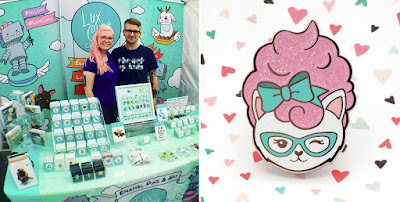 Other items in Libby's collection include mesmerizing photos of dinosaurs and other fun creatures, clothing and accessories emblazoned with her cute characters and some seasonal gifts like ornaments when you catch her at shows like Blue Genie Art Bazaar. I could spend all day scrolling through her Instagram with all of the adorable ways she shares new designs and colorful combinations. She's very playful with her art in a way that inspires me to be true to my quirky interests as well. She and her husband run LuxCups Creative together, and what a bright and happy job to have. 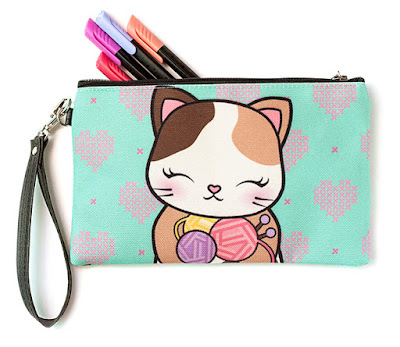 Who doesn't need more color and whimsy in their life? Thank goodness for artists like Libby who are here to make that happen!